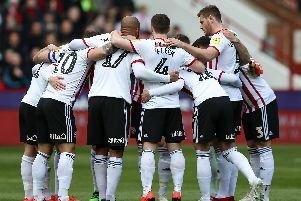 Sheffield United returned to the top of the Championship table after Billy Sharp's hat-trick inspired a 4-2 victory over Wigan. This is how the action unfolded. Check www.thestar.co.uk/blades for a full match report and reaction from both managers when we have it.